Starter's Bar & Grill is definitely a frequent stop on my happy hour journey. With three locations - Fairlane Town Center, Plymouth, and my favorite, Midtown - you can’t lose. Although the parking is terrible at the Midtown location, there is plenty of room inside for everybody. There are TVs all around their large circular bar as well as booth seating. There is also a backroom available for parties. The Plymouth location sometimes has comedy shows on the weekends as well. 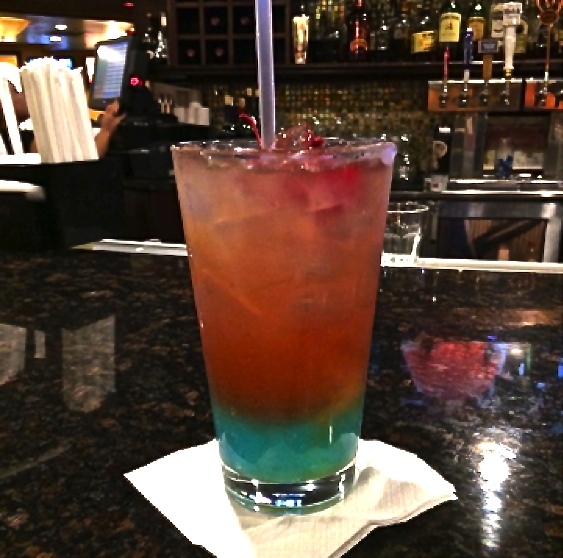 To set themselves apart from the competition, Starter's features appealing specialty drinks such as the Superman; Ciroc Red Berry, Hypnotiq, Island Blue Pucker, Cranberry and OJ. They serve your typical bar food, but the menu is quite extensive featuring everything from burgers and salads to ribs and pastas. I usually go with the catfish bites or the made-to-order lamb chops. The Midtown location plays smooth R&B and Hip Hop to turn up the vibe. The staff is welcoming and entertaining and they often have complimentary beverages from Moet Hennessy. Starters perfect place if you want to catch a game and drink with friends. Posted on October 30, 2015 by Black Bottom and tagged Bougie Foodie Starter's Bar & Grill Happy Hour Drink Specials Food Specials Detroit Restaurant Review Gerrae Cotton.